The authors thank Néstor García, Teodora Mitu, Margarita del Dedo, Barbara Berón-Vera, Marina Aversa and Soledad Leonardi for their technical assistance. Thanks are due to Prefectura Naval Argentina and ALPESCA S.A. for allowing us to collect the material on the hake trawlers. We are grateful to Pavel Gerasev for his assistance. We also thank Pat Pilitt (USNPC), Eileen Harris (BMNH) and Paula Marcotegui (CEPAVE) for specimen loans. We are indebted to the División Zoología Invertebrados, of Museo de La Plata for allowing J.S.H.O. to study type-material of Asymmetria housed in the helminthological collection. This study was supported by the following projects: BBVA project n. BIOCON 04, AGL2010-20892 from the Spanish Government; PROMETEO 2011-040 and ISIC 2012-003 of the Valencian Government; and the Czech Science Foundation (ECIP, No. P505/12/G112). J.S.H.O. benefited a PhD student grant from the National Council on Science and Technology (CONACYT) of the Mexican Government (scholarship number 197266). 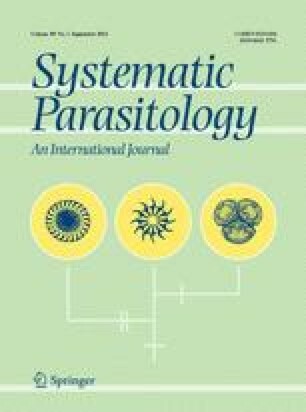 Institutional support was given by the Centro Nacional Patagónico (CONICET, Argentina) and the Institute of Parasitology (RVO: 60077344).